We've been proud to produce books written by Fulham fans as well as books where we have co-operated with the author. Our first joint venture was over 25 years ago. Born in 1946, Dennis never forgot his roots. After graduating from St Mary's University College in Twickenham, he took a job as an economist for a trade union. Later he worked at the National Economic Development Office in Whitehall, then Midland Bank, and finally as chief economist for HSBC where he was a highly respected and influential figure often delivering keynote speeches with humour (often Fulham related) and effectiveness. He became the Fulham's official historian and produced many excellent books on our club including two volumes of Fulham Facts and Figures with Alex White. 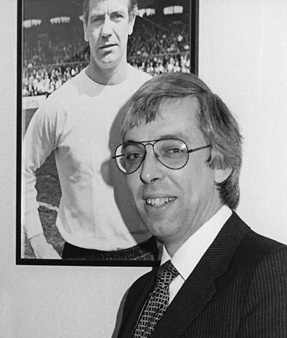 He also wrote for the programme and for Fultime and became a non-executive director of the club. He encouraged Ken Coton to gather his pictures together for the first Ashwater book on Fulham - Fulham's Golden Years - produced over 20 years ago. He was particularly proud of his Ashwater co-production Fulham - The Team, put together for Fulham 2000. 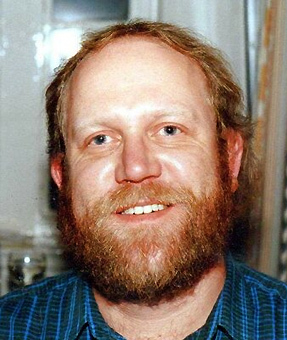 Tragically Dennis died of a heart attack in 2014 at the age of 67 - a supporter and a writer sorely missed. Alex was born in Feltham in 1947 and followed Fulham all his life; the only thing that matched his love for Fulham and Craven Cottage was his love of the England team (at all levels). Alex barely missed a Fulham game home or away and apart from his immediate family, the club took centre stage in his life. Erudite and witty, he was known affectionately as 'The Traveller', with good reason. He travelled the world supporting England with a unique band of followers. He did the same for the Whites and would specialise in testimonials and friendlies played in far-flung places where the players sometimes outnumbered the crowd. He kept detailed records of such matches which resulted in two whimsical yet accurate Ashwater books: A Fulhamish Coming of Age and Pandora's Fulhamish Box, both well received by Fulham devotees. He was working on a third volume, but very sadly succumbed to lung cancer at the early age of 59 in 2006, although he did live long enough to see his beloved team back in the Premier League after such a long absence. 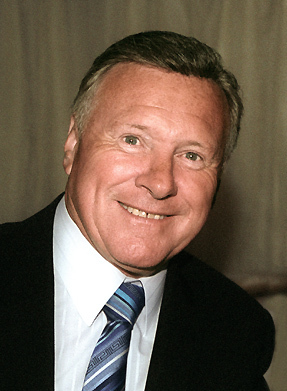 David Hamilton is a renowned radio presenter who began broadcasting in 1959 and has hosted thousands of radio and television shows. Early on, he became an in-vision announcer for ABC TV and appeared with Ken Dodd in the TV series, Doddy's Music Box, acquiring the nickname 'Diddy'. He joined Thames TV as an announcer in 1968, subsequently hosting many shows for them. He appeared alongside comedians Benny Hill and Tommy Cooper. For BBC TV he compered Top of the Pops and Seaside Special and for BBC Radio he hosted a multitude of shows, including Housewives' Choice, Music Through Midnight and Radio 1 Club. In 1987, David turned his attention to commercial radio, and has presented shows on Capital Gold, Melody FM, Liberty and Classic Gold. He continues to work in radio. David has appeared many times on stage, compering shows by such luminaries as the Beatles and the Rolling Stones. He has hosted shows at the Royal Albert Hall and the London Palladium, as well as headlining in four major pantomimes. 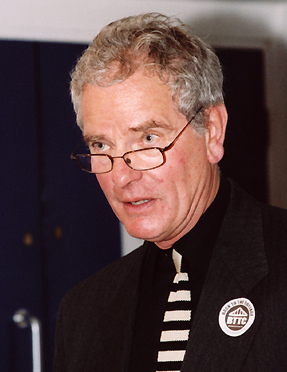 In sport, David was chosen to be the compere for the Wembley Lions Speedway team in 1970-71, and was the matchday presenter for the Reading Racers Speedway Club. But his main love is football and Fulham Football Club, being a fervent supporter since the age of ten. He was a decent player himself, playing many times for the famous Showbiz XI. He started as the matchday compere at Craven Cottage in 1996, a position he has held with distinction until his recent and well-earned retirement from the microphone. His Ashwater book A Fulhamish Tale is a story of show business, sport and Fulham. It is an extremely popular title. David's latest book, produced by Ashwater, is not Fulham related; it's about David's early days in broadcasting as a Radio One dj. 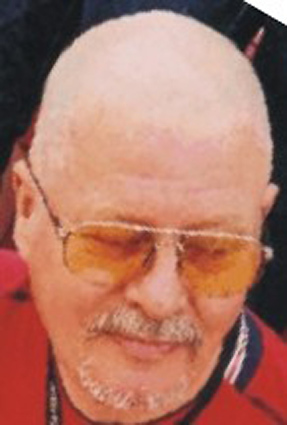 Peter Findlay Thomson was born in Edinburgh in January 1939 into a Scottish military family. At Haileybury, Peter was head boy and played for the first XV; he later went to Trinity College, Cambridge, where he took a first. Having opted for school-mastering he was invited to join the history department of St Paul's in Hammersmith in 1961, where he remained, barring a two-year break at Radley, until 1984. Peter was a natural and charismatic leader. After nine years as deputy headmaster at St Paul's, he became headmaster of Emanuel, a former direct grant school that had been forced to go independent. Thomson was the unanimous choice of the ruling body. He supervised the school's rescue operations during the nearby Clapham train crash of 1988. He retired in 1994, but was soon back at the chalk face as headmaster of Putney Park School. He was then poached by the recently established Harrodian School, on the site of the old Harrods sports club (in former days used as a training ground by Fulham FC). He transformed the school and enjoyed great success. Peter was a passionate and opinionated supporter of Fulham Football Club, having started at the Cottage in the early Fifties. He wrote three Ashwater books — the famous Following the Fulham series, so much enjoyed by so many fans. He was an active and consistent supporter of Ashwater Press and offered much assistance and encouragement. Sadly he died in 2011 at just 72, with another Following the Fulham book unfinished. His funeral in Hammersmith was standing room only. A writing colleague and dear friend sadly missed. Alex White has been a lifelong Fulham fan since the Sixties, and is the author of Images of Sport: Fulham and The Men Who Made Fulham, as well as countless articles for fanzines. He recently published a solo work Fulham Miscellany. He also worked closely and jointly with Dennis Turner on many statistical books especially two volumes of Fulham Facts and Figures. Alex live in Croydon in Surrey and works in social services in London. 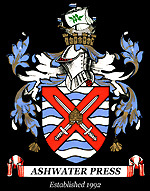 Alex is currently Fulham's historian and is part author on Ashwater's latest project - the revamped FULHAM - THE TEAM.